With every decision comes a consequence and for those fighters who took part in battle at UFC Philadelphia, it’s their time to faces those consequences in the form of medical suspensions. 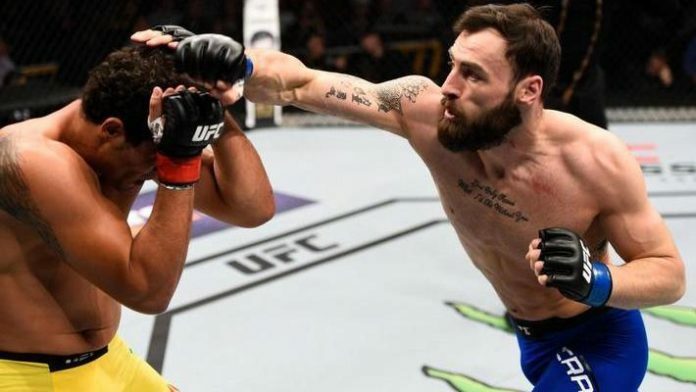 UFC Philadelphia (also known as UFC on ESPN 2) took place on Saturday, March 30, 2019 at the Wells Fargo Center in Philadelphia, Pennsylvania. The main card aired on ESPN at 7 p.m. ET. The preliminary card was split broadcasted on ESPN at 5 p.m. ET and the TV network’s streaming service, ESPN+, at 3:30 p.m. ET. Edson Barboza vs. Justin Gaethje in a lightweight bout headlined the show. David Branch vs. Jack Hermansson in a middleweight bout co-headlined the show. Rounding out the main card was Josh Emmett vs. Michael Johnson, Karolina Kowalkiewicz vs. Michelle Waterson in a women’s strawweight bout, Paul Craig vs. Kennedy Nzechukwu in a light heavyweight bout, and Sheymon Moraes vs. Sodiq Yusuff in a featherweight bout.